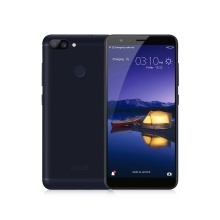 ASUS ZenFone 4S Max Plus is a smartphone designed to go the distance, to accompany you on all of life’s adventures, and to bring you the bigger picture. With its 5.7- inch full view display, high-capacity 4130mAh battery with advanced power management and 16MP dual cameras, ZenFone Max Plus keeps up with your active lifestyle and is always at the ready to capture every extraordinary moment. With a full view 5.7-inch Full HD resolution and 2.5D front glass design, allows you to dive in the immersive visual experience. ZenFone 4S Max Plus makes photos, videos, and all your other content like you never experience before. Powered by strong latest ZenUI octa-core processor and Android 7.0 system, combined with 4GB of RAM and 32GB/64GB storage, the phone keeps an extraordinary balance between performance and power-efficiency. ZenFone 4S Max Plus offers fast charging 10W (5V/2A) for its high capacity 4130mAh battery. With the fast charging feature, it take up to less hours to fully charge up the battery from 0% to 100%. Features an industry leading 8MP lens system, delivering crystal images with hardware-leveleffects. Moreover, with panorama selfie, gesture control shooting, and built-in effects, enjoy your selfies with more fun. Zenfone 4S Max Plus paired with a rear 16MP+8MP to capture beautiful, high-resolution photos with zero shutter, taking pictures that look more natural and lively has never been easier. The Zenfone Pegasus 4S Max Plus with both fingerprint and facial recognition system provides you with options you can use to quickly get your phone unlocked.